If your company has products or services of any kind, a product demo video helps explain the features and benefits to your customers, and will increase the likelihood that they buy from YOU. This type of content enables customers to see how your products perform without having to purchase the product first - it removes the risk for them. 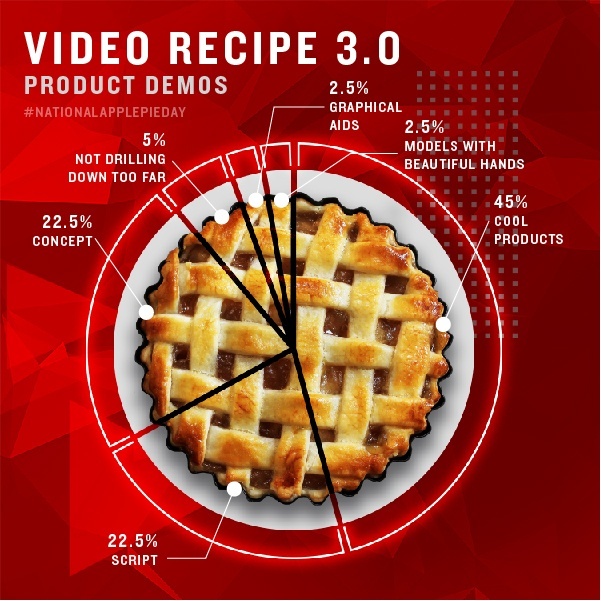 But, what is the recipe for a successful product demo? This year, we're taking the opportunity with some of these silly National Days to share some of our favorite recipes for successful videos! And this month, we're celebrating National Apple Pie Day. Here is our recipe for product demo videos. Check out the full-size graphic, here.